The US Federal Open Market Committee meet next Tuesday on what is probably the most important meeting for the Committee in 4 years. Recent financial market turmoil coupled with a slowing US economy has put the focus firmly on the Fed, with markets demanding an immediate easing in US interest rates and a shift in the Committee’s monetary policy stance. The Fed effectively moved from a tightening bias to a neutral stance in August, when it lowered its lending discount rate and issued a statement stating financial markets stresses now posed a downside risk to the growth prospects of the US economy. Last week’s payroll report which revealed a contraction in employment for the first time in 4 years, has, in most analysts minds, sealed a rate cut for the September 18th meeting, with futures markets pricing in a near 50% chance of a 0.5% rate reduction. While a rate cut seems probable, the Fed finds itself in an incredibly difficult position because recent surges in energy costs on the back of a weaker dollar pose a major inflation threat to the US economy going forward. The Fed must weigh up the risks and deliver a decision that will best serve the sustainability of US economic growth. 1) What I consider the most likely outcome is that the Fed will reduce the funds rate by 0.25%, while maintaining its inflation bias. The Fed will probably modify the statement with a sentence along the lines of ‘The Fed assess there are increased downside risks to the US economy in the coming quarters and the Committee will act in a timely fashion, when needed, to support US economic growth.’ This in essence will move the Fed into a neutral position and enable it to hike or cut, depending on how the economy plays out in the months ahead. 2) The Fed reduces the fed funds rate by 0.5% and shifts to an easing bias. This is what many market analysts have been calling for and was the most likely outcome as early as last week, according to futures markets. While this would certainly answer critics who accuse the Fed of not being proactive enough, it might translate into the Fed pressing the panic button and have them stand accused of merely being seen to bail out the financial markets. Outside of last week’s employment report, most other recent data does not imply a requirement for such a drastic move and in any event it seems highly unlikely that there could be consensus amongst all voting officials to cut the rate by 50 basis points. 3) The Fed cuts by 0.25% and shifts to an easing bias. This is a possibility but not a probability in my view. To shift to an easing bias the Fed would have to soften its concerns on inflation, signalling downside risks to economic growth now outweigh current inflation concerns. This will be interpreted by many as a confirmation that the US is headed for a serious slowdown/recession and that the market should expect a cycle of rate cuts in the months ahead. This would be damning for the dollar, should it happen. However, there is insufficient wider economic data to support such a negative view at this time and such a policy decision could in itself precipitate a major slowdown/recession. 4) No change in the Fed funds rate, but a modification in the statement to stress that the Fed are monitoring the situation closely and will act when needed. The Fed could throw in a 0.50% reduction in the discount rate to offset against the resultant disappointment in financial markets. This particular option is probably the wisest one in terms of acting in the the long-term interests of the US economy, but it will require incredible bravery on the part of the Fed. It is also likely this is the preferred option of a number of Fed officials, including Bernanke himself and if the Fed Chairman manages to deliver such a result he will cement his place in history as a Central Banker that stood tall against all the pressure, influence and power financial markets could garner to unsettle him. If we did not have the recent credit market crisis, there is no question but that the Fed would not be even considering a reduction in the fed funds rate next week. Given that the crisis was created by the financial markets themselves and the fact that no interest rate reduction is going to recover bad debts, the Fed should leave the fed funds rates unchanged next week. Other Central Bankers have shown little empathy for financial markets in response to this mess, so why should the Fed be any different? The dollar has been sold off at a rapid rate in the past 2 weeks, to the point that the US dollar index has firmly broken below 80 and sits at its lowest level in 15 years. The market has priced in rate cuts of between 0.75% and 1% between now and the end of the year. Although it is clear the dollar sell-off is overdone, the dollar simply cannot attract any sustainable buying support right now because of the extent of negative sentiment that surrounds it. We are unlikely to know the true fate of the dollar until after next Wednesday, once the true implications of Tuesday’s Fed statement has sunk in. We could easily see EUR/USD break above 1.40 or 1.41 in the immediate aftermath of Tuesday’s meeting, if the Fed shift to an easing policy, as the market is exclusively dollar bearish right now. 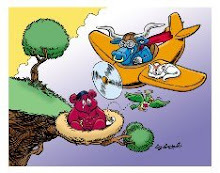 But we could see a knee-jerk reaction on either side come Tuesday which may prove to be premature and it is a dangerous time to be entering the market.